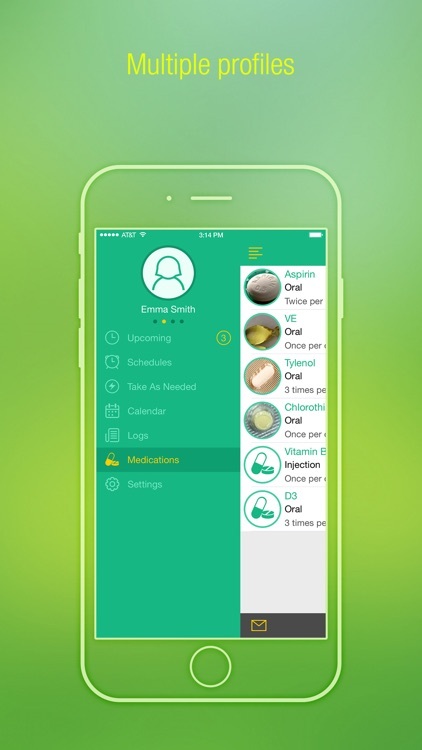 Pill Alert is your full time secretary whose sole duty is making sure you take meds on time. It supports multiple profiles, so you can use it for both you and your family members. 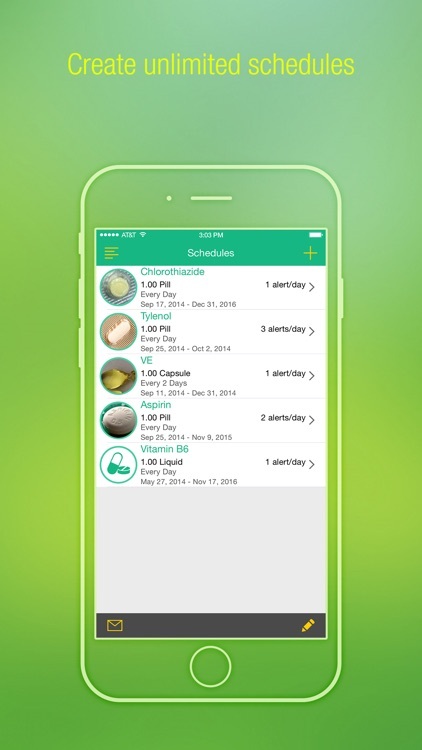 iCloud auto sync is available, you can oversee whether other members take pills on time. 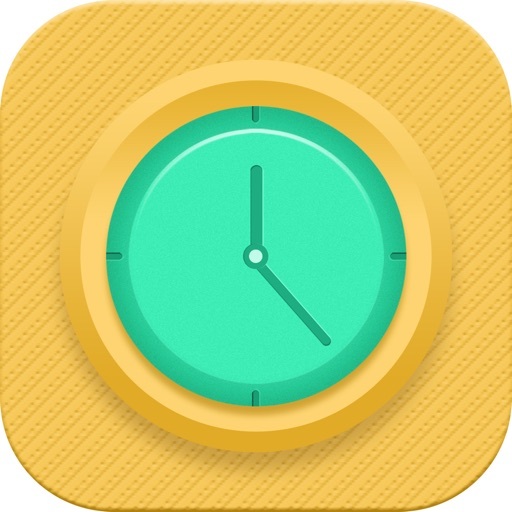 Just need to enter the schedules, Pill Alert will remind you takings meds on due time, and you can keep the pill taken logs, email them to yourself or your doctors. So you don’t need to always keep in mind that you should take those meds on those different times, it makes you stress relief in daily life. ⁃ Add schedules with frequency, dosage, time, times a day, and date range. 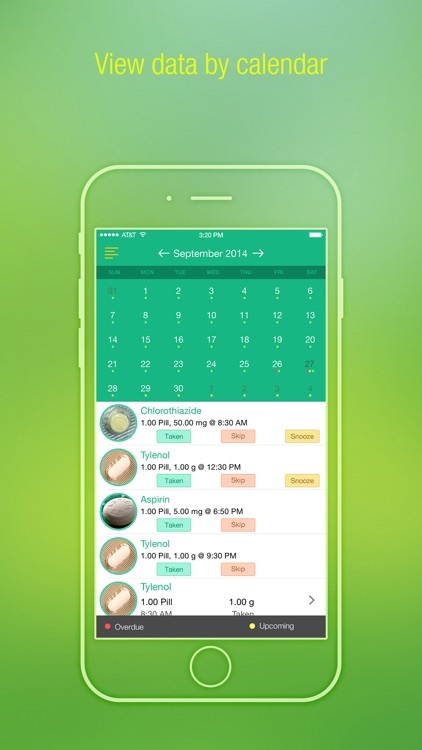 ⁃ Calendar overview to check reminders or pill taken logs. 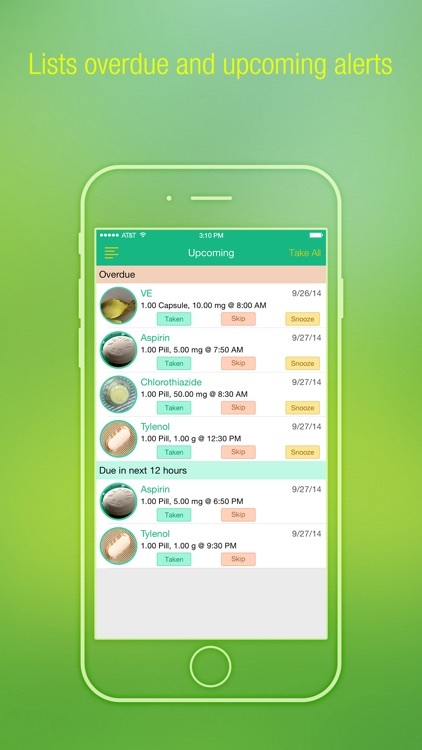 ⁃ Check upcoming due meds. ⁃ Mark pill log as taken or skip. ⁃ Snooze reminder to make it alert later. ⁃ Turn ON or OFF schedule. ⁃ 15 free reminder sounds available. 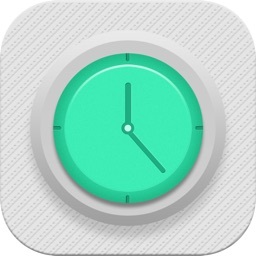 ⁃ Supports sound recording as a reminder. 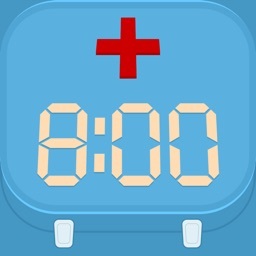 ⁃ Track quantity of each meds and remind when it’s time to refill. 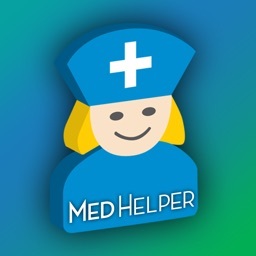 ⁃ Add Taken as Needed meds and check their logs separately with other meds. ⁃ Add pictures for each med. 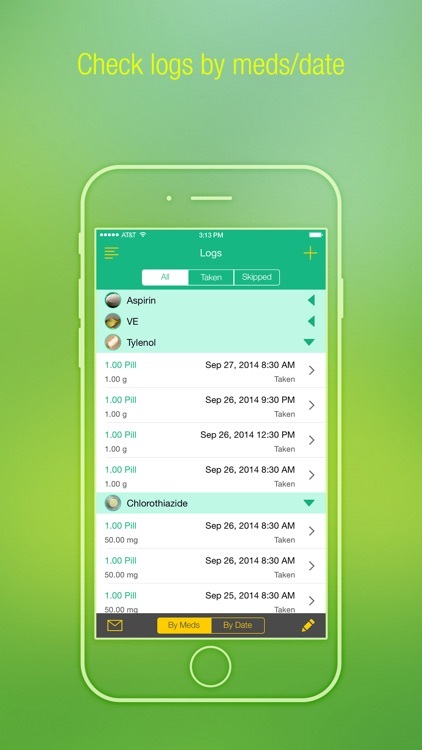 ⁃ Check logs by date or by medications. 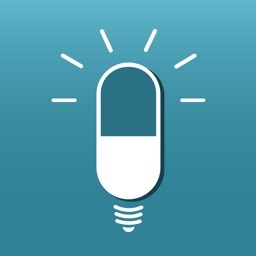 ⁃ Email pill taken logs by date or by mediations. ⁃ Email all the pills need to take info. ⁃ Customize unit, form and route. ⁃ Support multiple profiles and manager their data separately. ⁃ iCloud auto sync between iOS devices.